Paying respectful tribute to the country music icon's unmistakable sound and phrasing, as well as her renowned onstage wit and charm, The Essential Dolly Parton covers all of the popular phases of Dolly's glittering career. 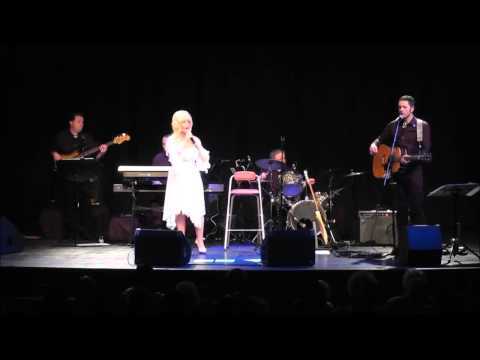 The Essential Dolly Parton is brought to you courtesy of the wonderful vocal abilities of Andrea Pattison, a singer with two decades of experience in showbusiness. Andrea is highly experienced in a wide variety of vocal disciplines, having fronted jazz trio's, a professional function band and released her own original recorded material. With this act, Andrea gets to recreate her idol and all of the classic hits with remarkable accuracy. Available as a self-contained solo act or as part of a fully live 5-piece band, this is an act certain to wow the crowd whatever the occasion. Following her stellar show at Glastonbury 2014, demand for Dolly Parton is currently very high and therefore Andrea's diary is an extremely busy one. Book today to avoid disappointment! 13.Do I Ever Cross Your Mind? Brilliant performance by Dolly, alias Andrea, excellent singer tribute act and everybody enjoyed her performance at the party. From the moment Dolly stepped out she wowed the audience with a rendition of 9 to 5 which went down a storm. She played all the favourite songs and had had the audience singing along. Dolly was very accommodating and agreed to judge the best dressed cowboy/cowgirl which she did with great humour. She also encouraged dancing while she was singing, which was great for our guests. Dolly took on the persona of the original Dolly and chatted in between songs including the audience in her chat. All in all a wonderful evening and Dolly really was the icing on the cake. Fantastic Dolly Parton tribute played at Guildtown Village Hall great audience participation and all guests loved the show great performer costumes and the music set, perfect. The act was superb and it went down well with our sell out crowd. You have a lovely, lovely voice. You have a wonderful voice, your vocal ability is superb. When I heard Andrea sing "Islands in The Stream" it could have been Dolly herself! The best Dolly Parton tribute I've ever heard.